Udupi an important Vaishnavite coastal town in Karnataka, is located 381kms from the capital Bangalore. The urban focus of Udupi is an open Square surrounded by temples and matts. Udupi is the birth place of the 12th century saint Madhava, who set up eight sanyasi matts in the town and is one of Karnataka's most important pilgrimage sites. 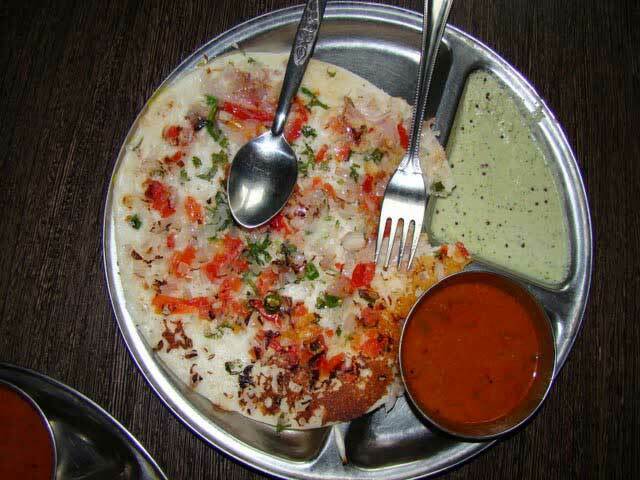 Udupi is also known for its delicious cuisine and Udupi restaurants all over the country. Udupi, an important Teerthasthal (pilgrimage place) with its historical Krishna Temple is the cultural center of Karnataka. The district, carved out of Dakshina Kannada district two years ago, has its own identity in the field of art and culture. 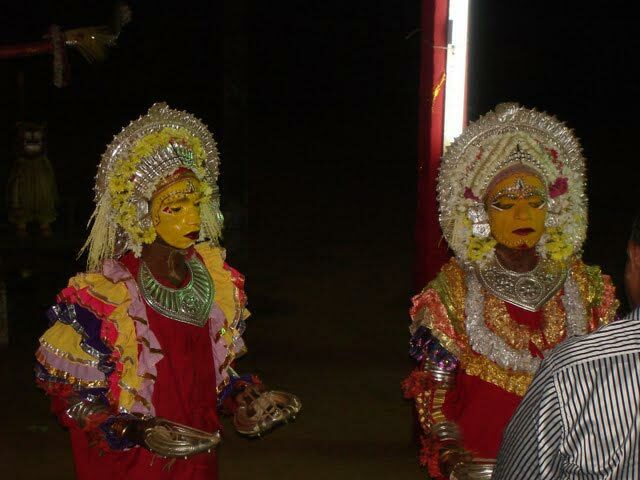 The rich past and glory of this magical land are Yakshagana, Talamaddale, Gombeatta, Bhoota worship, Naaga worship, temples and cockfight. 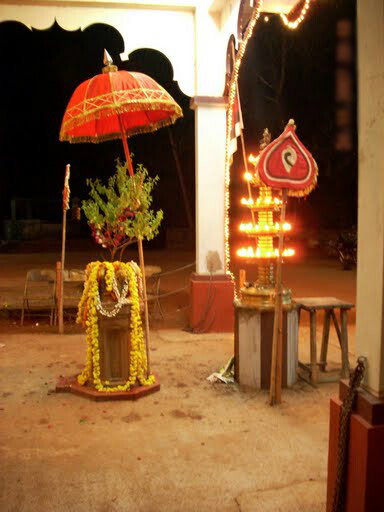 Barakuru, Hastashilpa, Karavali, Krishna Mutt, Malpe. 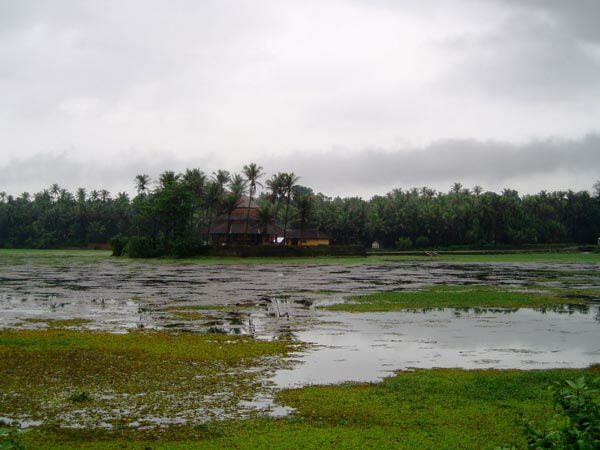 Udupi is a divine shrine in the coastal region of Western Ghats. Situated about 60 kms from Mangalore.The Udupi district has two national highways passing through , one is NH-17 and another is NH-13.Udupi is around 310 kilometeres from Bangalore. The climate in Udupi is hot in summers and pretty good in winter. During summers(from March to May) the temperature reaches up to 40°C and in winters (from December to February) it is usually between 32°C and 20°C. 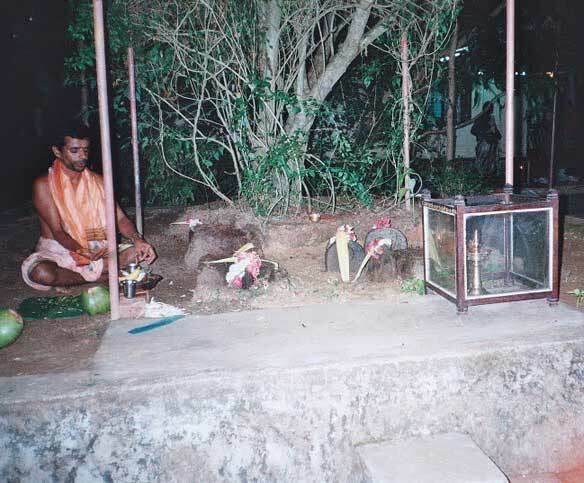 History has it that Madwacharya found a piece of chandan in which he found an idol of Lord Krishna which he installed in Udupi which is now one of the three main temples in the car street in Udupi.Kanakana Kindi on one side of the temple gives a good view of the idol. Legend has it that once Kanakadasa,KanakaDasa who was so pious and devoted to Lord Krishna, was not allowed into the temple. It didn't upset him, but instead made him pray with intense devotion. Lord Krishna was so pleased that he made the statue of himself turn around to allow the disciple to gaze upon his heavenly form through a small window at the back of the mutt (monastery). Till today, devotees still worship Lord Krishna by praying through the same window that Kanakadasa was blessed with a view. The primary languages of Udupi district are the Tulu, Kannada and Konkani. The Udupi and Dakshina Kannada districts are sometimes referred to as Tulu Nadu, as they constitute the Tulu-majority region. How to reach Udupi District? Nearest Railway Station:Railway Station is 3KM from Udupi Bus Stand .And this is connected with most of the metros. Nearest Airport:The nearest airport from Udupi is Bajpe Airport (60 km. from Udupi) from where one can take flights for most of the important cities in India like Mumbai, Bangalore, and Chennai. Road Transport:There is a good network of roads that connects Udupi to other important cities of the region. Baindur Beach is beautiful beach in the hamlet of Baindur. This virgin beach is a popular picnic spot. 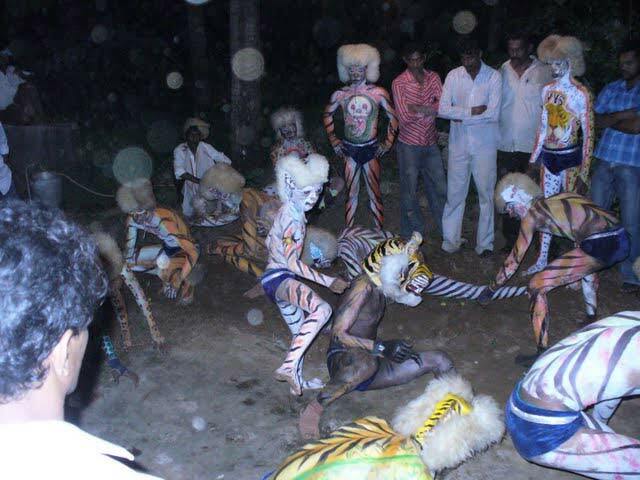 It is 45 km from Maravanthe and 30 km from Kollur. Kaup is a renowned beach located in Udupi District, Karnataka.The beach has a ruined fort and an old 100 ft light house. 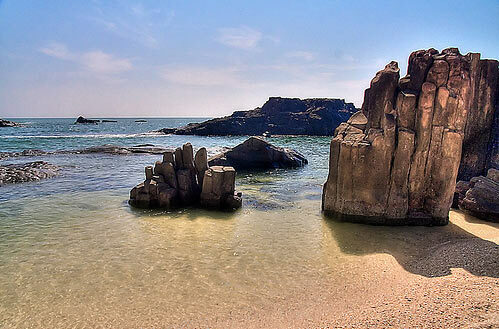 The place is also famous for the two temples of Goddess Mariamma.It is one of the cleanest beaches in Karnataka. 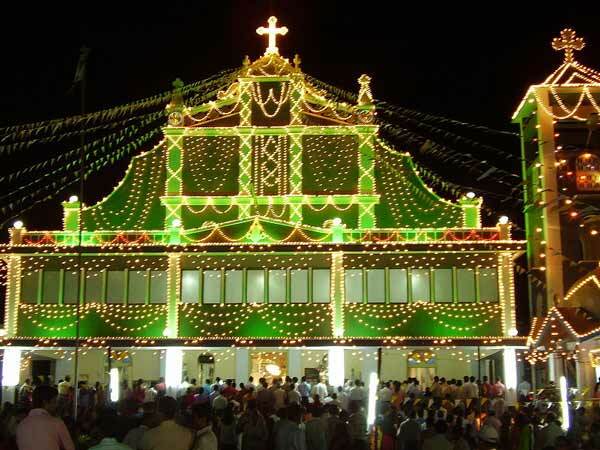 Church of Sacred Heart of Jesus is located in Kolalgiri in the Udupi District of Karnataka.Church of Sacred Heart of Jesus initially was part of the Milagres Church, Kallianpur. Under the leadership of Fr Sebastian Fernandes, this church was constructed in 1925 and became an independent parish in 1935. Church of Martin De Porres is located in Belvai, 45 km from Mangalore in Karnataka. Church of Martin De Porres was part of the Moodbidri-Alangar church initially. Harikandige Shri Venkatramana Temple:This temple is surrounded by peaks in all directions. 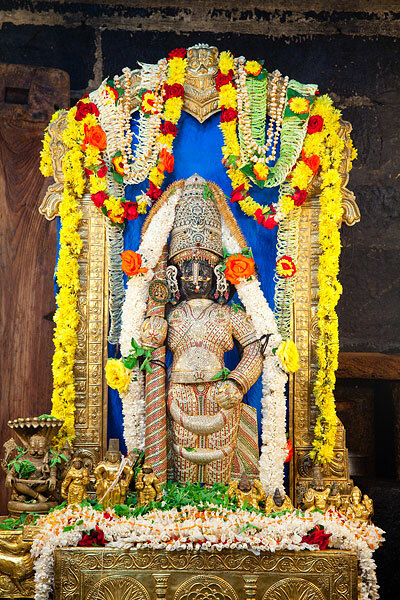 The presiding deities of the temple are Shri Laxmi Venkatesha and Shri Veera Venkatesha. Kaup Konkani Mutt Sri Venkataramana Temple: This 300 year old temple is dedicated to Lord Venkatramana, another face of Lord Vishnu. The temple has a unique idol of Lord Hayagreeva, belonging to the 15th century. Kodeshwara Temple: Located in in Udupi District, the temple has shrines dedicated to Lord Ganesh, Parvati and Ardhanariswara. 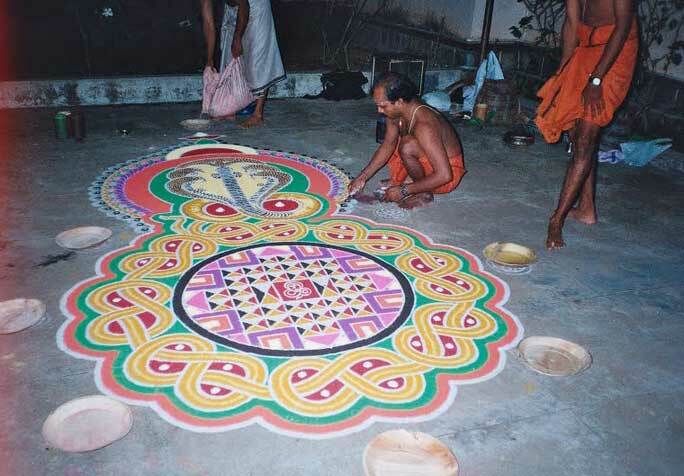 During the full moon, in the month of Vrischika, the annual festival is celebrated. Kadiyali Temple:Legend has it that Kadiyali was formerly known as Kadehalli (the farthest village) and was a part of what was known as Shivalli. According to the folklore of Tulunadu, King Rama Bhoja wanted to perform the Putrakamesti Yaga so that he would be blessed with a son. In the course of the preparation for the yaga, when the ground was being ploughed, a sacred Naga (cobra) got entangled in the plough and was killed. To vindicate himself from the sin of killing the sacred Naga, the king consecrated a Shiva Linga, which combined the divine presence of Vishnu in the form of Lord Sheshashayee. Sri Krishna temple. :udupi krishna Udupi is a divine shrine in the coastal region of Western Ghats. Situated about 60 kms from Mangalore, it is a fairly large and upcoming town that was sanctum of Madhvacharya, the great Sanskrit Philosopher. The famous temple here, has a fascinating idol of Lord Krishna that is richly adorned with jewels.Another attraction of this temple is the 'Kanakana Kindi' -a small window through which Krishna is believed to have given darshan to his ardent devotee, Kanakadasa. Ananthapadmanabha Temple is an ancient temple, situated at Perdoor.It is constructed on the principles of Vaastu Shastra.The main offering of the temple is bananas, a unique offering of its kind. 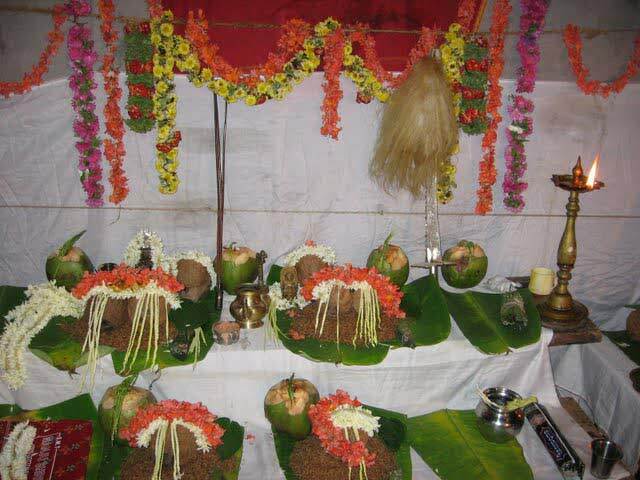 The 'hoovina pooje'(flower puja) is a special puja done at the temple. Brahmi-Durga Parameshwari Temple:Away from Siddhapur on Kundapur- Shimoga Highway,Kamalashile is noted for the Brahmi-Durga Parameshwari Temple and a small cave called Suparshwa Muni Guhe. 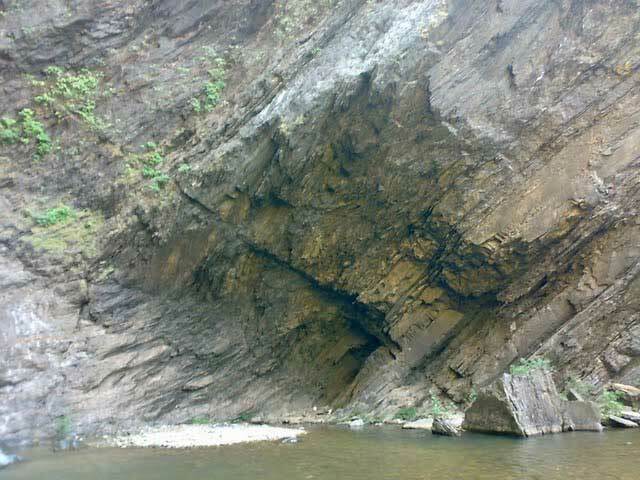 The cave ends at a well called Naga teertha, where you can see a Subramanya idol. The idol of Brahmi Durga Parameshwari attracts a lot of devotees. Mookambika Wildlife Sanctuary spans over 247 sq km and is thick with evergreen, semi-evergreen and moist deciduous forests of the Western Ghats, and small patches of teak plantations. It is contiguous with the Sharavathi Valley Wildlife Sanctuary.The sanctuary offers ample opportunities for trekking and nature camping. Kollur and the Mookambika Temple are nearby places of interest. Someshwara Wildlife Sanctuary:Located in the Western Ghats,This 88 sq km sanctuary is consists of semi-evergreen and evergreen forests. Wildlife species include tiger, leopard, wild dog, jackal, gaur, wild pig, sambar deer, spotted deer, barking deer, lion tailed macaque, bonnet macaque and common langur. Sri Mahalingeshwara Mahaganapathi Temple, Padubidri :Padubidre (Padu Bidadi), a sacred place with a number of Temples and shrines, is famous for holding Dhakke Bali once in two years. The Mahalingeshwara Mahaganapathi Temple of Padubidri is well known in the Udupi and Dakshina Kannada districts. Heri Kudru is a beautiful river island in Kundapura. 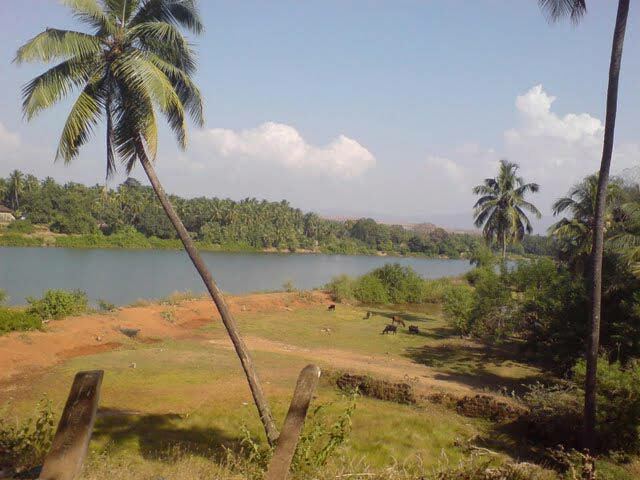 This river island is in the Panchagangavali River.The western side of this island provides a view of Gangolli as well as the huge waves of Arabian Sea.Kamasthar Kudru is a beautiful river flowing close by. Heri Kudru is connected by National Highway 17 with Kundapura and Thallur. Malpe Beach:udupi krishna Malpe town is about four kms. to the west of Udupi. It is the most important port of the Karnataka coast and is situated at the mouth of the Malpe or Udyavara river. The river is navigable to small cargo boats for about ten kms during high tide. The place has a fascinating natural scenery, and has been a centre of commercial activities for a long time. It is a natural port. There are three rocky islands to the west of it. 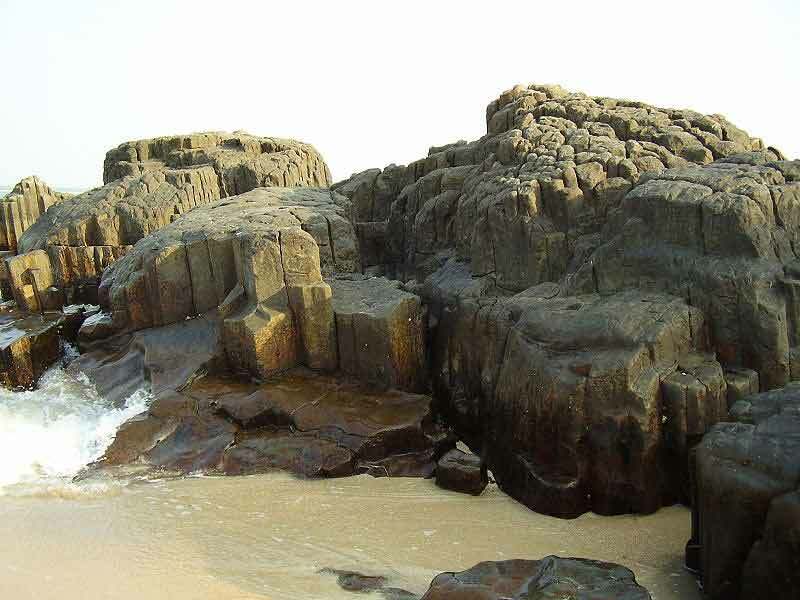 St. Mary's Island are a group of small islands lying a little to the north of the port of Malpe 7 kms form Udupi. Vasco-da-Gama landed in 1498 on one of these islands which he called `EI Padron de Santa Maria'. It is from this that these islands got their present name. 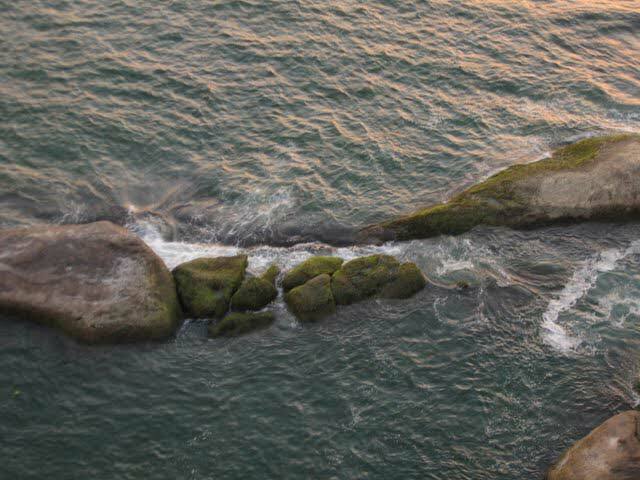 They are just a few scattered projections of rock rising out of the western or Arabian Sea around Malpe. Maravanthe:About 42 km from Udupi. The NH-17 is flanked on the left side by the Arabian Sea and on the right side by the Souwparnika River. However, due to continuous sea erosion, the Arabian Sea has come dangerously close to the NH-17.Still the road exists miraculously between sea and river and after this spot, river makes a U turn and goes eastwards and meets sea at Kundapura, after a journey of about 10 km. Manipal, 3km east of Udipi, is a progressive industrial and educational centre famous for its Medical college.The house of Vijayanath Shenoy is a small museum displaying Household objects in a typical architectural setting. spot with its peaceful surroundings and natural beauty. 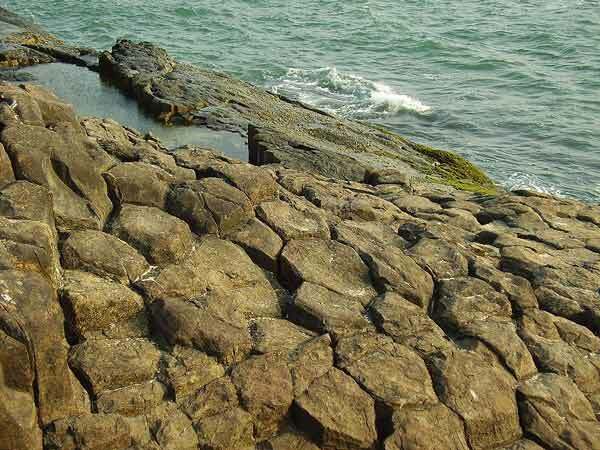 The uninhibited St. Mary's Island, just a boat ride away has a beach and an impressive geological formation of basalt rock pillars into the sea. There are three rocky islands; Daria-Bahadurgad the northern-most island is famous for its export of processed fish. Brahmavar located about 13 kms north of Udupi is an ancient cultural centre. The three main temples here are 9th century Mahalinga temple, Gopinatha temple and the Janardhana shrine. The image of the deity in the Gopinatha temple is Hoysala architecture. End Point is a picturesque spot located in Udupi District. 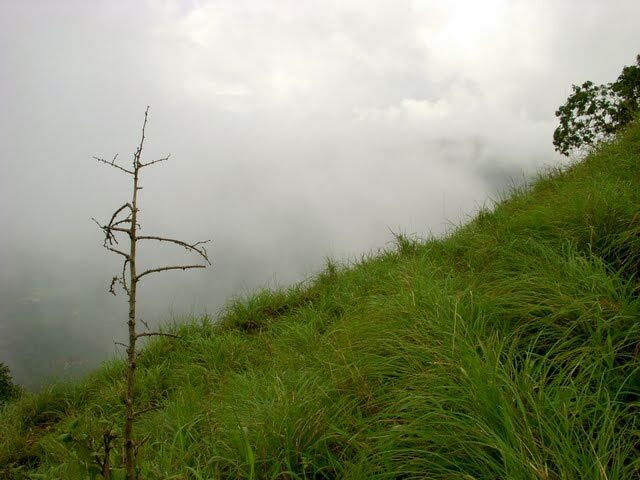 It is named so because the road reaches a dead end on a cliff, overlooking the valley of Swarna River. Garuda Guha is an ancient cave situated in the heart of Kollur Town in Udupi District, near Parashuram temple and the ISKCON property. 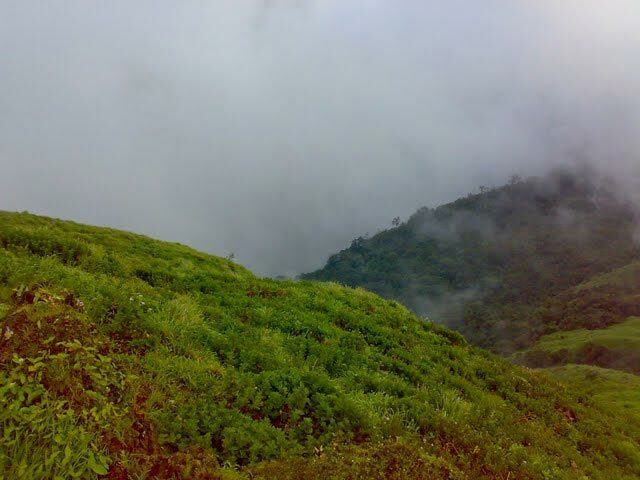 It lies on the banks of the Sauparnika River at the foot of Kudachadri Mountain. This cave is famous for its shrine devoted to Garuda. Koosalli waterfalls is located near Koosalli village.A series of six falls, one above the other, in splendid surroundings makes it one of the best waterfalls in the state.The best time to visit is from September to November. 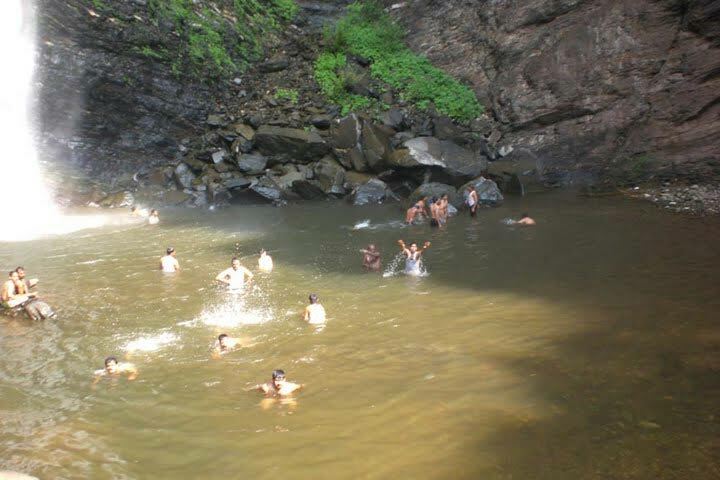 Belkal Teertha Water Fall lies near Kollur.It is situated in the lush green forests of Mookambika Wild Life Sanctuary. 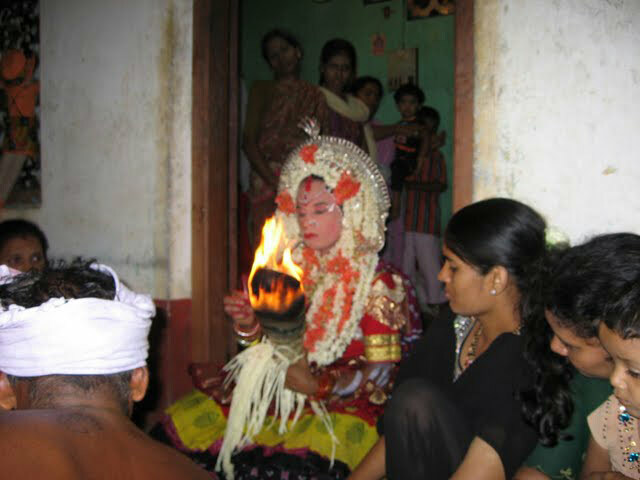 Kollur is located about 80kms from Udupi. The famous temple of goddess Mookambika is located here on top of Kodachadri hill, at the foot of the Western Ghats. Though the temple has a long history, the present building was erected in 1616 by Venkatappa, one of the Ikkeri Nayakas. The goddess takes the form of a 'Jyotirlinga' incorporating aspects of Shiva and Shakti. 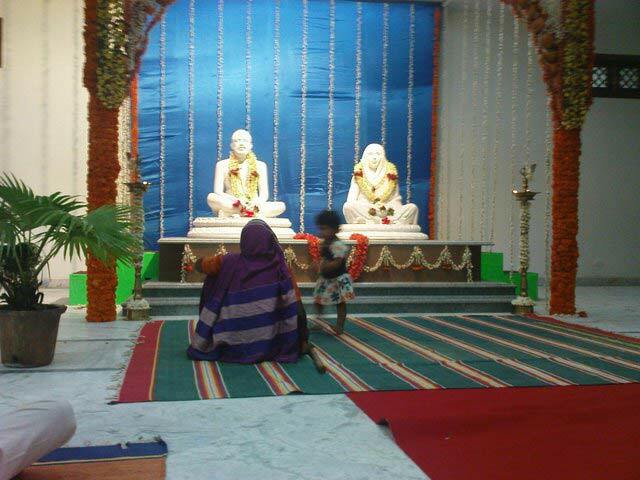 It is a famous pilgrimage centre attracting lot of devotees. Daria-Bahadurgad: This island is about a square mile in area and not more than 250 yards in width.The island has temples dedicated to Balram and Ananteshwara. Another attraction here is the oldest tile factory of the district established by the Basel Mission. Church of St Philip Neri is situated at Basrur in the Kundapur taluk, 36 km from the town of Udupi in Karnataka. This church was completely destroyed by Tipu Sultan in 1784. Kannada Kudru, a beautiful island on Sauparnika River, is located on the northern side of Kundapura in Udupi District.Arate Bridge connects the island with the main land. Chaturmukha Basadi is a famous Jain temple, situated on a rocky hill at Karkala.It is built in the form of a square mandapa or hall, with a lofty doorway and pillared portico on each of its four sides. Since four identical doorways in four directions lead to the Garbhagriha, it is called Chaturmukha Basadi. Neminath Basadi:It is situated at Hiriyangdi, one km to the west of Gomata Hill.Here the presiding deity is Mulnayak Bhagvan Neminath. There is a 54 ft Manasthambha, carved out of single rock, which has been installed in front of the Basadi. Thousand Pillars Basadi:The temple faces the east and opens onto a superb monolithic pillar in front of the doorway. It has a wide collection of jewel-encrusted metallic images of Jain teerthankars and superb monolithic columns in the Jain tradition, each with a different carving. Near the main temple entrance, there is a Jain Mutt which has a library containing some beautiful 12th and 13th century palm leaf manuscripts. Arisinagudi Waterfalls is a picturesque cataract at the foot of the Kodachadri hills.The scattering of sunrays on the water causes rainbow-like hues on the falls. 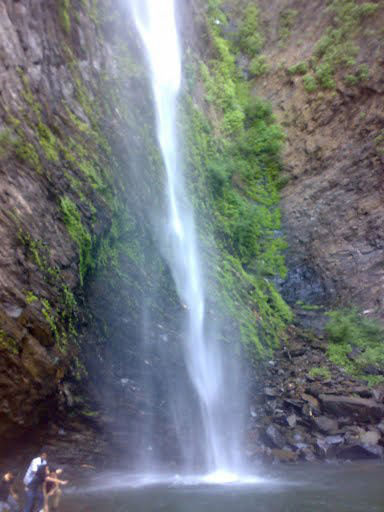 Jamli Waterfalls is located at Gummahola near Belve in Kundapura taluk. The fabulous wooded landscape and the serene surroundings make it a charming tourist destination. Halle Kote, literally means old fort in Kannada, is located north-east of Kundapura.An ancient Chikkamma Temple and a cremation ground are also seen here. Halle Kote and its surroundings are famous for movie shootings.